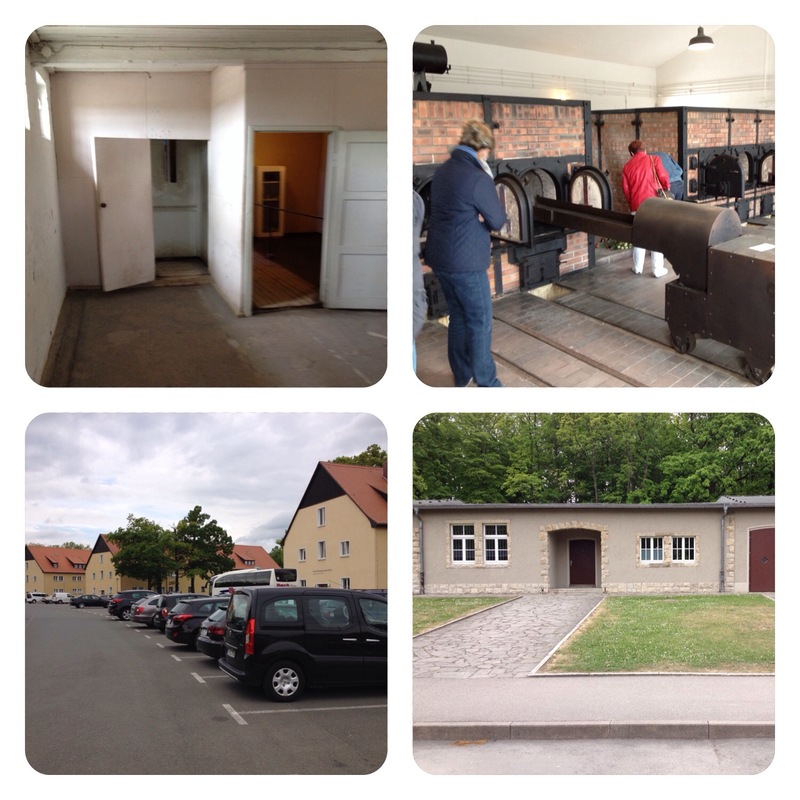 Took over 30 pictures at Buchenwald. Which do you pick and what do you say? It was very moving and I spent over 3 hrs, half on a guided tour. 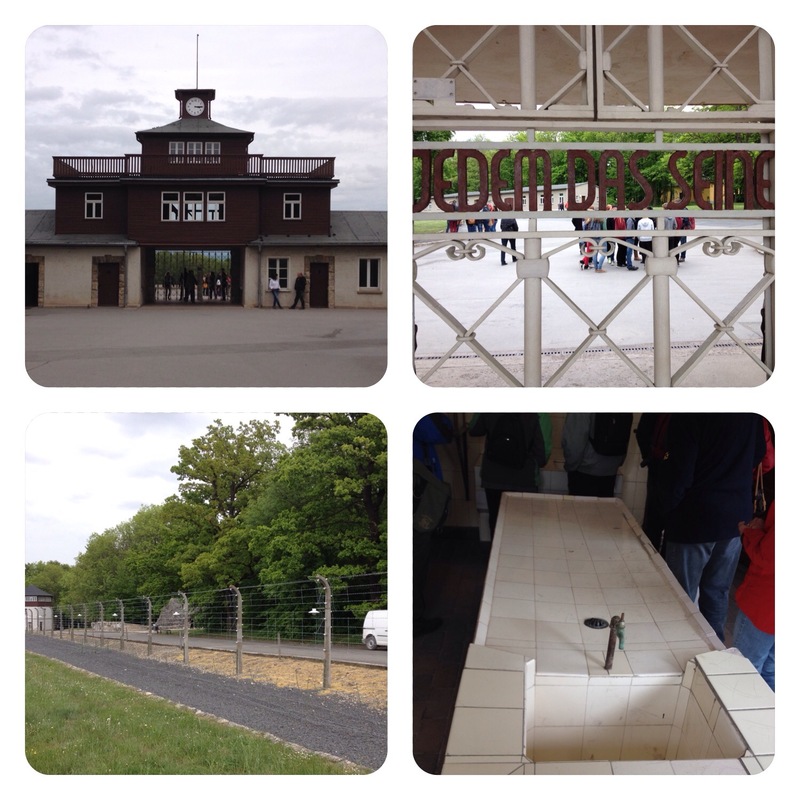 Buchenwald was the third largest concentration camp, based on the Dachau model (near Munich). For men only, it was a work camp to support the defense industry, including making parts for the V2. The Americans knew that so they heavily bombed the camp–nothing of the factories remains. Whereas some of the work camps coaxed inmates to take a shower for disinfection, here they were told they’ll be measured for something, then shot in the neck from behind (See pic with two doors). Some 250,000 inmates passed through here between ’37 and ’45 when Patton’s Army liberated the camp; of those some 56,000. perished. Here they had their equivalent of Dr. Mengele, a Dr, Otto, who performed unimaginable operations, all without anesthetic (shown is his operating table). After the war, he himself was found guilty and executed at his own camp. The camp was also used to train SS troops for six-month sessions whereafter they were sent to other camps–Buchenwald, alone, had some 136 subcamps! The two-story bldgs with cars in front were their quarters. The gate in the pic was the entrance to the camp and the gate inscription “For each his own (what he deserves).” Also shown on the bottom right are the commander’s quarters–all the original buildings. Painful history. Hopefully lessons were learned so it doesn’t happen again. Sadly we don’t don’t often learn from history. But I remain hopeful.